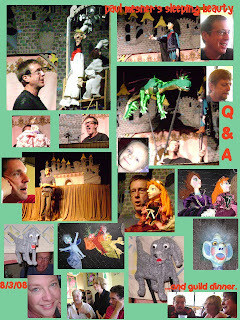 Here's some pictures from the latest puppetry guild event. We enjoyed the hilarious Sleeping Beauty by Paul Mesner, attended the post-show Q&A/meet the artist, and went out to Mellow Mushroom afterwards for pizza and beer! A good time was had by all!